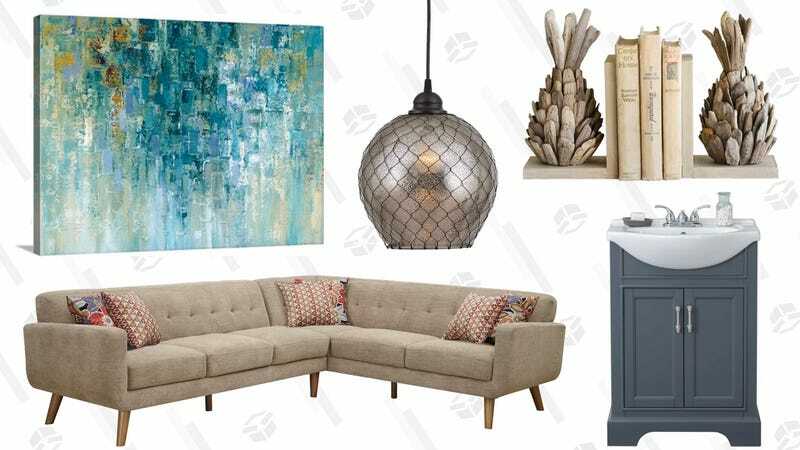 Wayfair’s running their own version of Prime Day with today’s Black Friday in July sale. You can save up to 70% off a laundry list of home decor items like wall art, area rugs, sheets & comforters, sofas, mattresses, dining room furniture, and more. There’s so many items to look through, so make some time in your schedule today. If you’re needing some place to start, I like this farmhouse-inspired TV stand, this enormous sectional, and five full pages of bedroom furniture. You’ll have all weekend to shop the sale, so head on over to Wayfair to see it all for yourself. Let us know about your favorite finds in the comment section!